Competitive Obedience is a sport, and has been such since the early fifties. People probably get involved in Obedience in the first place through Dog Training Clubs. Not all people who go to DTC’s are there to train their dogs for competition (in fact only a small proportion go on to this), the majority only going to give their dogs basic obedience and ‘socialisation’ with other dogs. Those that stay long enough at the club may first go on to attend and ‘compete’ in those Exemption Shows that have Obedience Classes. For the majority of Exemption Shows you just ‘show up’ and enter a Class on the day, for which you pay a nominal entrance fee, which generally goes to charity or the clubs funds (note that most DTCs are non-profit making). To join a DTC you don’t have to register your dog with the Kennel Club, nor to enter Exemption Shows. However, when you compete in Club Matches with other KC registered clubs or enter Limit or Open Shows, your dog has to be registered (even rescue dogs, and crossbreeds have to be registered in their case, under the Obedience and Working Trials register). Limit , Open and Championship Shows are run ‘by the Kennel Club’ and ‘Under Kennel Club Rules’. Each Show will have a ‘Closing Date’ for entries a few weeks before the actual event, which means you must pre-book your place, and pre-pay your entrance fee. Classes at these Shows are known as Pre-Beginner, Beginner, Novice, ‘A’, ‘B’, ‘C’, and Championship ‘C’ (in ascending order of ability / experience), and the ‘Tests’ to be performed for each of these Classes is predefined in the Kennel Club rules. In general you have to win twice in a lower class to progress on to the next level. Only winners of the Championship ‘C’ Class (which are only at Championship Shows) go on to compete at Crufts. 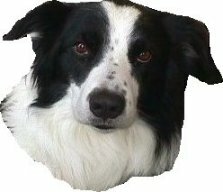 Obedience Forum UK - the forum for dog obedience, and pet handlers. Here you can post topics / questions on Obedience, and have replies from 'those in the know'.